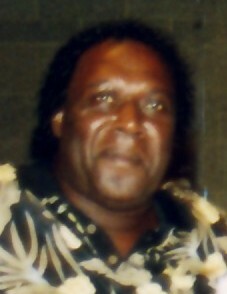 Mr. Joe (Nannie, Blackboy) Lacey was born March 17, 1947 in Uniontown, Alabama to the late Jessie and Willie Lacey. Joe knew the Lord! He loved his family and people period. He would give his last whether he knew you or not, knowing he needed it for his-self. Joe loved helping anybody. He loved, I mean loved playing cards, dice and talking to his kids and grandkids. We will miss his saying "Boot" Go to McDonald’s and get me two fish sandwiches, a cheeseburger, two apple pies and a large Oreo McFlurry. "Daddy where your money" Boot you always Broke! Joe is survived by his wife, Lois Lacey of Houston TX; beloved and devoted daughters, Tracey Key of Fort Wayne, IN, LaConnya Lacey of Houston TX, Kiara Duncan of Memphis TN, Ebony Walker of Fort Wayne, IN; sons, Thomas Lacey of Fort Wayne, IN, Marcus Wilson of Atlanta GA, Fedell Lacey, Joe Lacey Jr. of Houston TX; stepchildren, Sylvia White, Spencer White both of Houston TX; bonus children, Nicole Key-Brooks and Chris Wilson(Belinda) both of Fort Wayne IN; his only beloved sister, Liz Williams and “Spoiled” brother Jack Lacey both of Fort Wayne, IN; half brothers, Alfred Norfleet and Will Norfleet both of Memphis, TN; only uncle, Coleman Witherspoon of Cincinnati, OH; special nieces, Sheila Williams and Lisa Lee of Fort Wayne, IN; special cousin, Theresa Williams of Fort Wayne, IN. 16 grandkids, six great-grands and a host of other loving nieces, nephews, cousins and friends. He was preceded in death by two daughters, LaKeisha Lacey and Abby Ann Lacey and a grandson, Argentry Montgomery Jr.